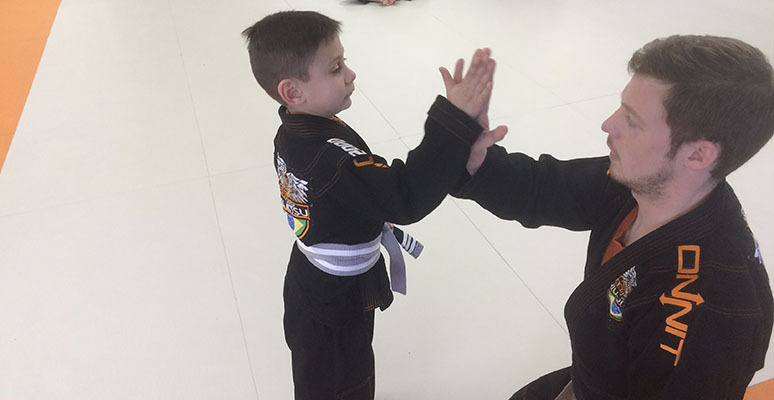 "I love bringing our son to Ludwig Martial Arts to watch him learn and grow. Professor Diaz is the best and most patient teacher when it comes to Jiu Jitsu. I highly recommend Ludwig Martial Arts! Best place hands down!!!" Brazilian Jiu-Jitsu is very different from your traditional Martial Arts because you actually use what you learn everyday against someone trying to stop you. You will not see a child screaming and breaking boards but rather engaging in a real life combat situation trying to wrestle their way into a dominate position or escape an uncomfortable or compromising position. 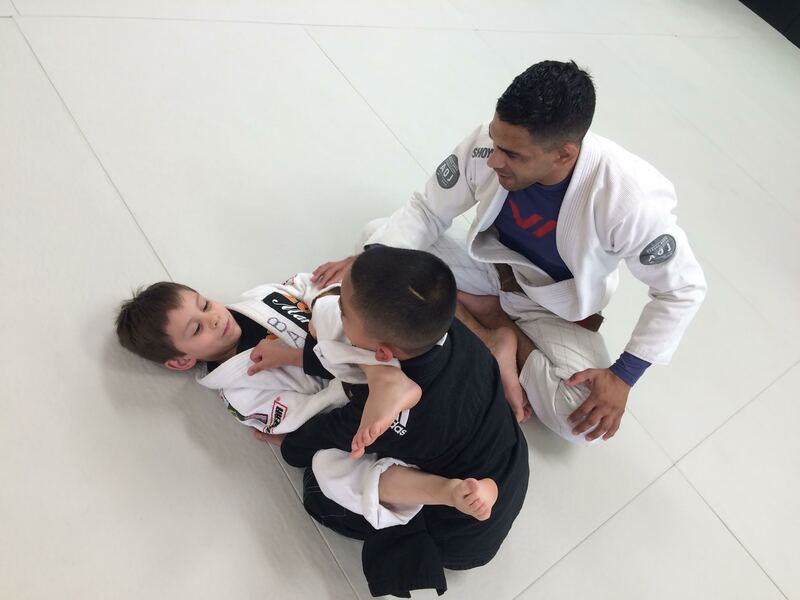 Brazilian Jiu-Jitsu gives a child real confidence and a realistic way to defend themselves without ever having to punch or kick another child. 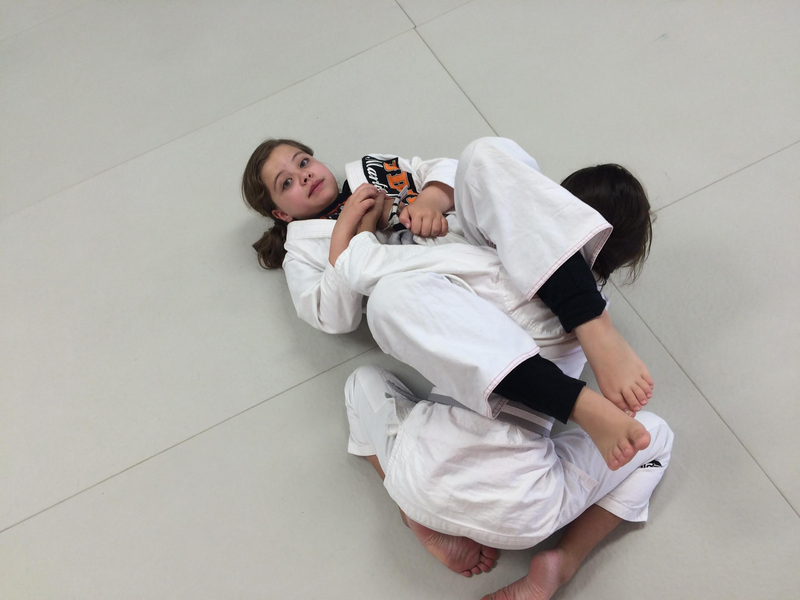 Brazilian Jiu-Jitsu will provide a fun and demanding cardiovascular workout for your child and they will LOVE doing it. The hardest part about keeping kid’s fit these days is getting them off of the computer or away from the video games. Brazilian Jiu-Jitsu is the perfect outlet to get your child excited and looking forward to doing a fun fitness related activity. Your child will learn real self defense. They will learn how to actually protect themselves from bullies. It’s a fact that bullying is on the rise and the child that is least able to defend themselves or with the lowest self esteem is usually the victim. Its also a fact that kids that practice Brazilian Jiu Jitsu are less likely to get into a fight off of the mat. These students tend to talk their way out of a confrontation and physical engagement tends to be the last result. Brazilian Jiu Jitsu students are taught to respect all cultures and differences.